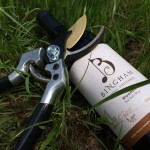 Bingham Family Vineyards is located in Meadow in the High Plains of Texas. 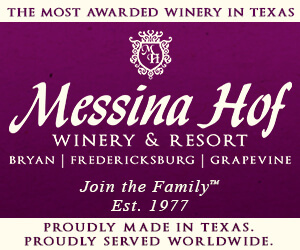 Cliff and Betty Bingham and family have been widely known for their excellent Texas grapes from their over 200 acres of vineyards. 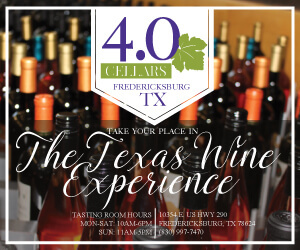 They have now ventured into the winery space and are already making waves with their wines which are currently being offered at their Grapevine tasting room. 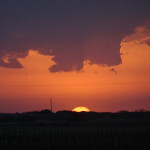 We were recently in the High Plains and made an appointment to visit the winery to see where it all starts. In front of one of their vineyards is a re-purposed barn that was used for mechanical storage but now is the Bingham Family Vineyards winery. 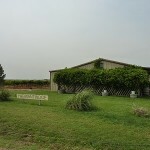 The idea for the winery came from the problem of managing the usually three-week harvest window and getting their grapes to the number of wineries for which they had contracts. Today they sell their grapes to 30-40 wineries. Imagine trying to manage when a winery wants their grapes harvested so the truck is there to ship the fruit, and then multiply that by the number of wineries they work with. 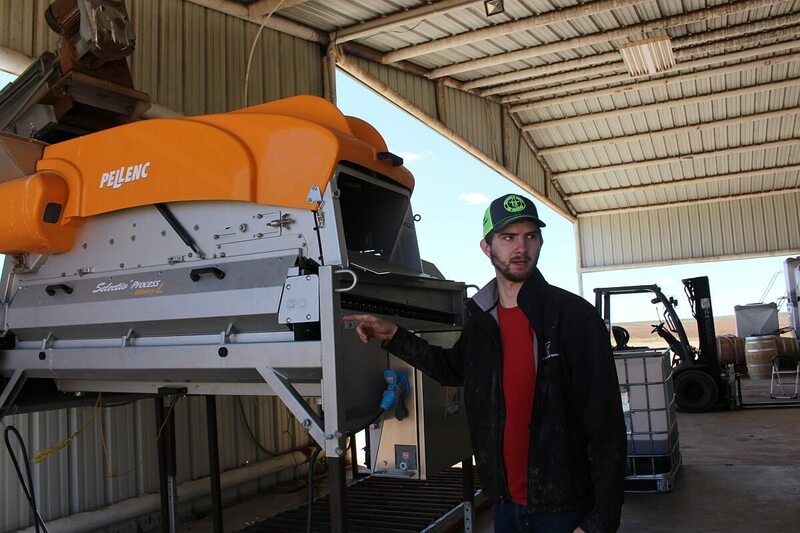 To help with this logistical problem, the Binghams started pressing some of their grapes to ship juice that maintains the freshness and makes the process easier for everyone involved. 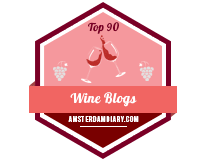 Since they had to obtain a press and other equipment, they had most of the equipment a winery needs. 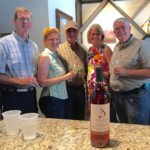 The remaining pieces fell into place when the Binghams purchased Pheasant Ridge Winery at auction in 2013. 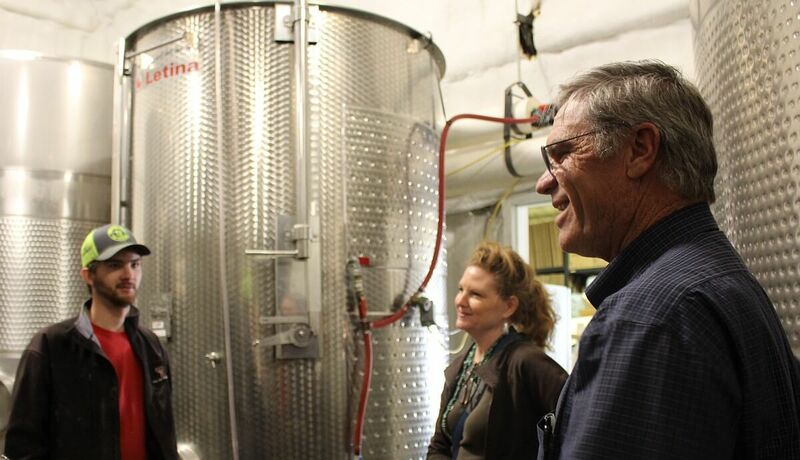 There were then decisions to be made on what to do with Pheasant Ridge Winery. 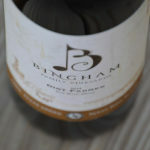 The final decision was to make an arrangement with original Pheasant Ridge Winery owner Bobby Cox, who at the time was consulting for the Binghams. 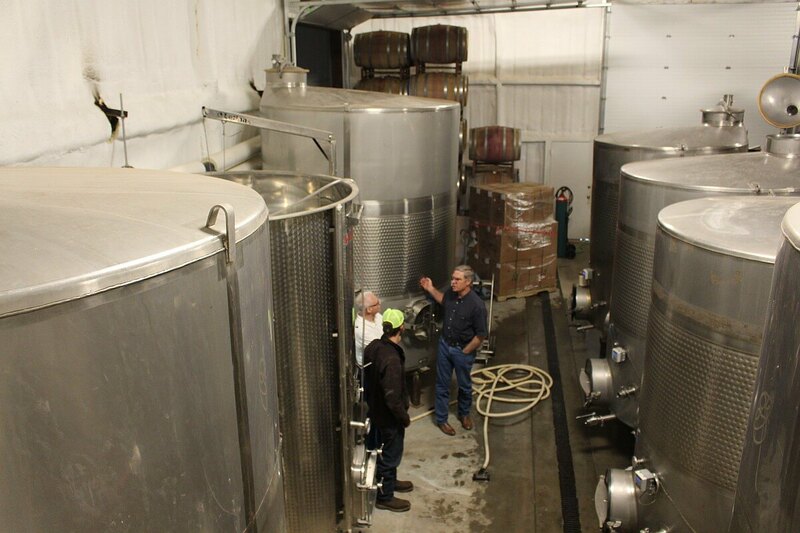 He would regain ownership of Pheasant Ridge Winery and they then had most of the winery equipment needed for their own winery. 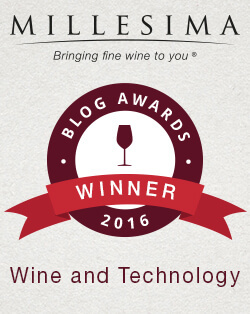 They started making their own wine in 2014. We arrived at the Bingham Family Vineyards winery and were met by Cliff and Betty Bingham along with their son Daniel who was going to give us a tour of the winery. 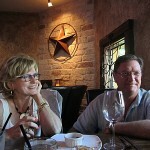 Daniel is making the wine with the guidance of Manuel Lechuga, who had worked at Pheasant Ridge Winery for years. We also saw Marissa Bingham briefly who is responsible for all that winery coordination we discussed including sales, and she would like to start being involved more in the winemaking too. 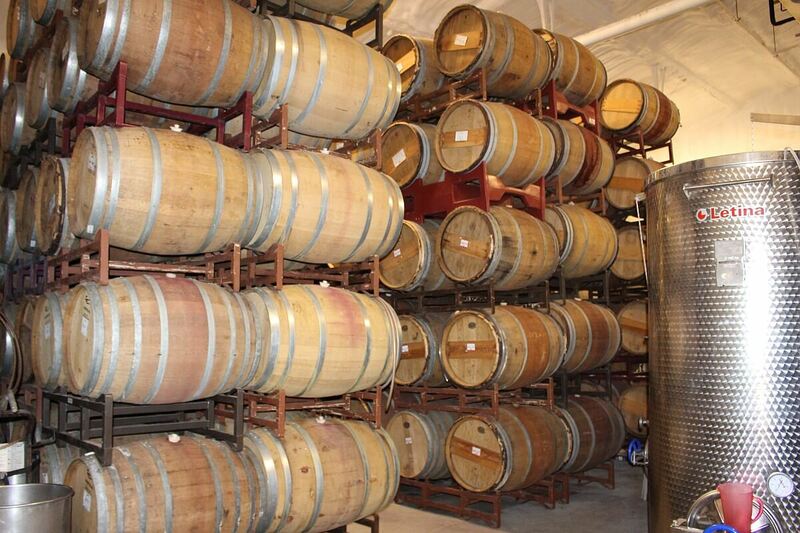 The winery is full of tanks and barrels including 30,000 gallons of tank storage and 300 barrels. Daniel explained how they built the winery from the former barn by taking out six-foot square concrete slabs and putting them outside by the crush pad so nothing was wasted. There was also a lot of work necessary for the drainage and leveling of the floor. 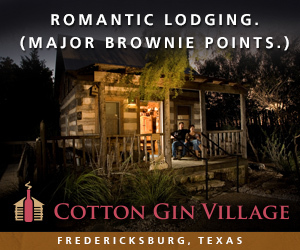 There is a lab in the winery but the one thing the winery lacks at the moment is a tasting room. 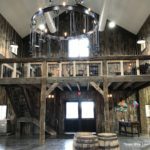 They hope to have a tasting room and are not really set up to do tastings, however with advance notice, tours with tastings can be done for $15 a person and a longer tour with some barrel tastings for $25 a person. Walking outside, Daniel showed us their Pellenc de-stemmer for which they are happy to own. By using the Pellenc de-stemmer, they do not need to crush the grapes. It replicates the de-stemming and sorting system of grape harvesters resulting in clean intact berries. 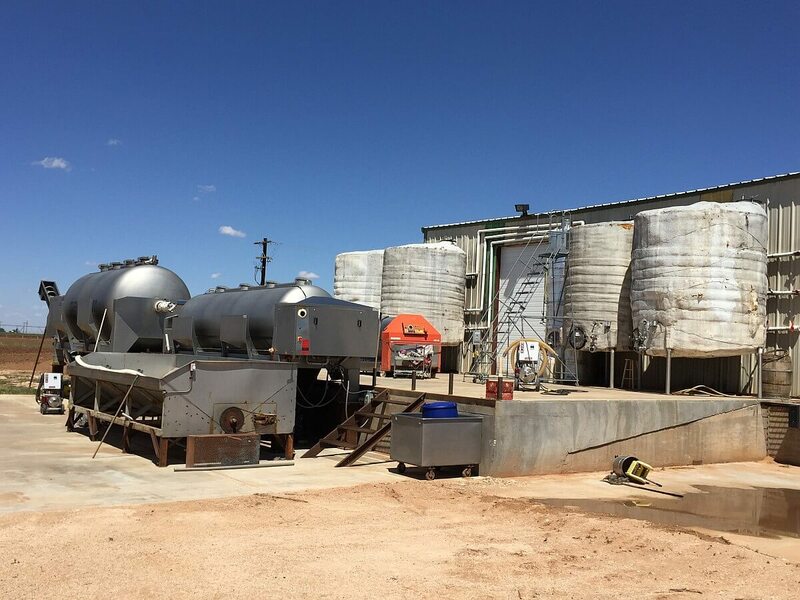 At the rear of the winery are two presses, insulated tanks, and more equipment. They can do 25 tons of white grapes in the smaller press and 40 tons in the larger press, which they use for the red grapes. 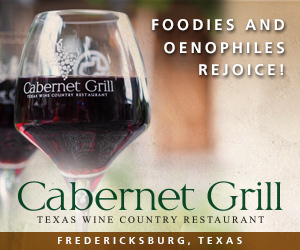 Some of the red grapes grown are Cabernet Sauvignon, Cabernet Franc, Dolcetto, Ruby Cabernet, and Carignan. 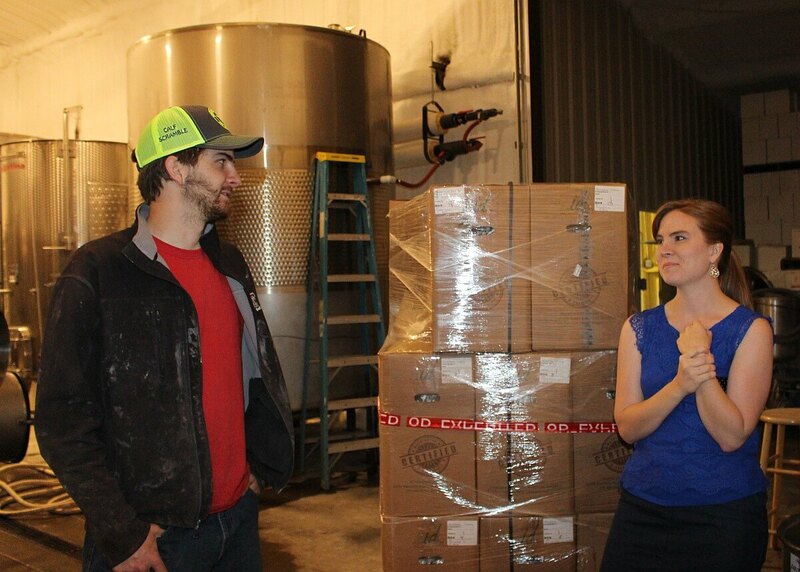 If the Bingham Family Vineyards winery just chills juice to deliver to wineries, it takes about one day to press and chill, and then it is ready to go to the winery. 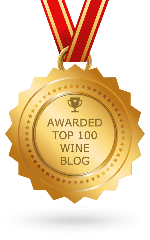 If the winery wants bulk wine, the process of course will take longer. The Binghams own a reefer truck that can hold up to 4,500 gallons with four totes that can be delivered to different wineries on one trip. The preference for reasons previously explained is to ship juice, but last year they shipped 70-80% grapes. 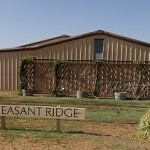 The new Infinite Monkey Theorem tasting room located in Austin currently still makes their wine in Colorado, and last year the Binghams shipped 20-30 tons to Colorado. As you probably have heard, 2015 had a banner grape crop in the High Plains. Bingham Family Vineyards still has 40 tons stored frozen that are primarily red grapes, so if you are a winery and need Texas grapes, you know where you can get some now to make your Texas wine. 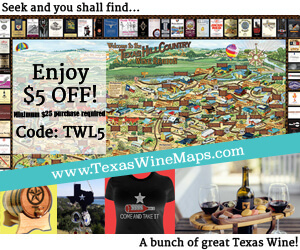 I’m glad you’re able to get some of their wine. And yes, a GPS definitely helps in the High Plains!